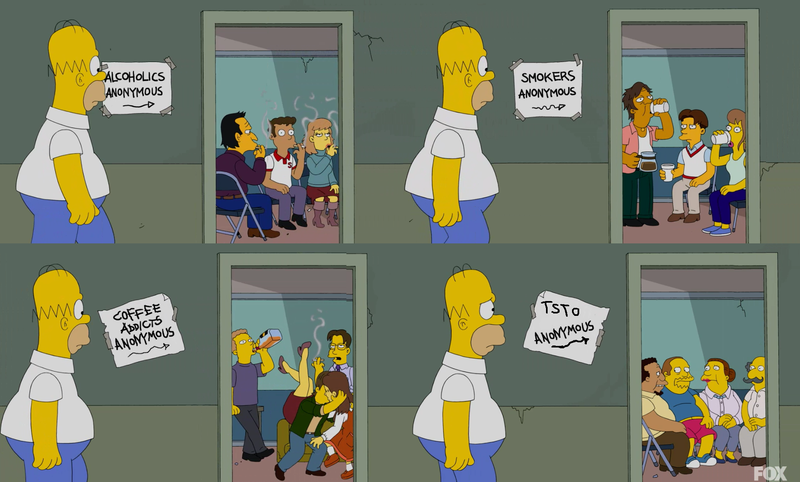 Reaching back into the Addicts archives once again for another TSTO Anonymous meeting. This time a topic I think we all can relate to…TSTO burnout. Something I’m sure we’ve all experienced at one time or another. Heck, I’ve been doing this site for 5 years and playing the game for almost 6 I’d be lying if I said I never felt burnt out on it. People change, priorities change and life gets in the way, so it’s only natural to feel a little burnt out over the game. What’s important is what you do when you’re burnt out and how you handle it overall. Back in when we started this site in 2013 we tried to separate ourselves from the loads of other TSTO blogs out there at the time by being different. In addition to the traditional gameplay posts we wanted to bring you guys different content, fun content. We wanted to be different, and what better way for a site called TSTO Addicts to be different than to hold regular meetings of TSTO Anonymous? These meetings were spearheaded by the one, the only, Wookiee. 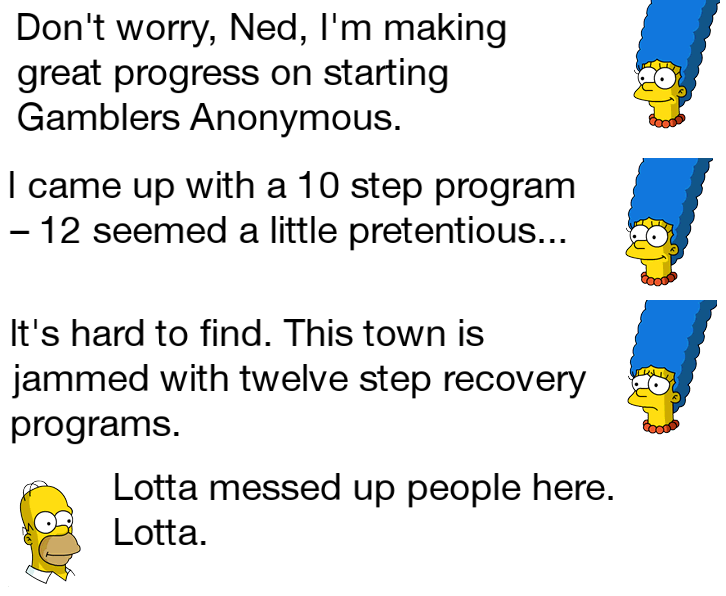 While I’ve got a few “classic” TSTO-Anon posts I plan to run over the next few days, I wanted to start out this Look Back series with two of the very first TSTO Anonymous posts, since we’re all Addicts here right? It’s funny to see a lot of the “issues” from 2013 still hold true today! Bet that title got your attention, huh? Phew… what a year. There’s been celebrations and headaches afterwards sort of like a real New Year’s party. You know… the kind where you stay up to late, kiss a stranger at midnight, and then wake up wondering why you made THAT resolution. With the end of 2016 on the horizon and one heck of an event ending, I figured it was time for another meeting of TSTO Anonymous so welcome! What is TSTO Anonymous? Well, it’s our version of a support meeting (said with my tongue in my cheek) that has turned into a nice thing we do occassionally just to give folks a positive message or a place to commiserate. You can find previous meetings here. While these meetings don’t happen as frequently as a fuzzball would like, I can always plug the the Sunday Open Threads as fill-in sessions when I can’t think of topics or life/game stuff is too busy to hold one. Jebus knows you Addicts like to congregate and chat about all sorts of stuff. Anyhoo… it’s time to fire up the simulated coffee pot, prop the door open with a lucky red hat, and get this meeting started. Pull up a chair, grab a Wookiee cookie, and let’s get this show on the road. Welcome back to another meeting of TSTO Anonymous. Courtesy of some TSTO downtime and an unexpected burst of motivation, I’m actually starting to hold meetings more frequently. You can find all of them here. While I can’t promise to always be so frequent holding these, when we don’t have a “meeting” you can always pop in to the popular Sunday Open Threads as fill-in sessions when I can’t think of topics or life/game stuff is too busy to hold one. Jebus knows you Addicts like to congregate there and chat about all sorts of stuff. Anyhoo… it’s time to fire up the simulated coffee pot, prop the door open with a lucky red hat, and get this meeting started. Pull up a chair, grab a Wookiee cookie, and let’s get this show on the road. Welcome back to another meeting of TSTO Anonymous. For once, I’m actually holding a meeting within a month of the last one (Jonesing for the Next Event). While I can’t promise this will frequently be the case, I think of the Sunday Open Threads as fill-in meetings when I can’t think of topics or life/game stuff is too busy to hold one. Jebus knows you Addicts like to congregate there and chat about all sorts of stuff. Anyhoo… it’s time to fire up the simulated coffee pot, prop the door open with a lucky red hat, and get this meeting started. Pull up a chair, grab a Wookiee cookie, and let’s get this show on the road. So it’s been a while since we held one of our TSTO Anonymous meetings and I thought it was high time we did one while we still had some time before the next big thing. 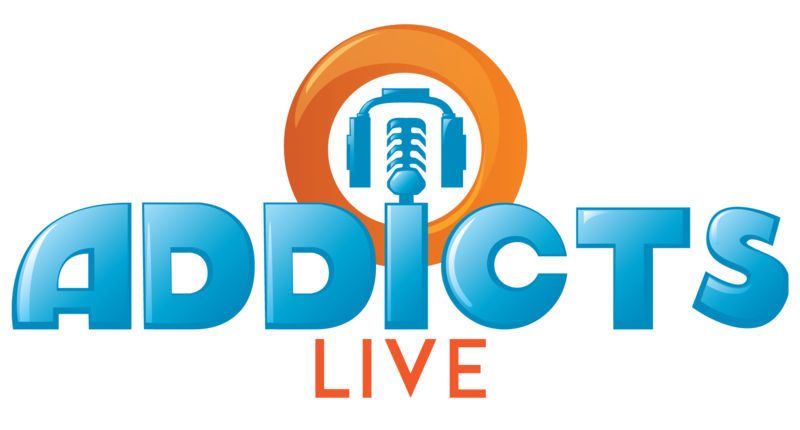 I wracked my brains for a topic and Alissa kindly suggested we discuss the idea of “jonesing for the next event.” While we jokingly named this site TSTO Addicts, the idea of needing the next big fix is something synonymous with addiction. Why should it be any different for people that play mobile games? We all want more of the stuff that we love. With that idea in mind, I found some images in my saved pics and rambled on with my thoughts about the next big thing. Fair warning, this might entail it being past midnight and half awake so pull up a chair, warm up the coffee, and let’s get this shindig started. Hey hey hey fellow Addicts. Here we are in the third Act of an event all about gambling in the City of Simp-sin,Vegasfield, insert clever name here, and I have to say I’m loving the event. Slots, craps, poker… and the best part is I’m not losing money or killing my liver with free drinks. Good old wholesome fun for the whole family over the age of 21 lol. Of course, gambling isn’t always fun and the first thing I thought about was Marge’s gambling addiction in “$pringfield (Or, How I Learned to Stop Worrying and Love Legalized Gambling)” (S5:E10). Is it any surprise that Marge considered the effects of gambling addiction and started her own meeting? 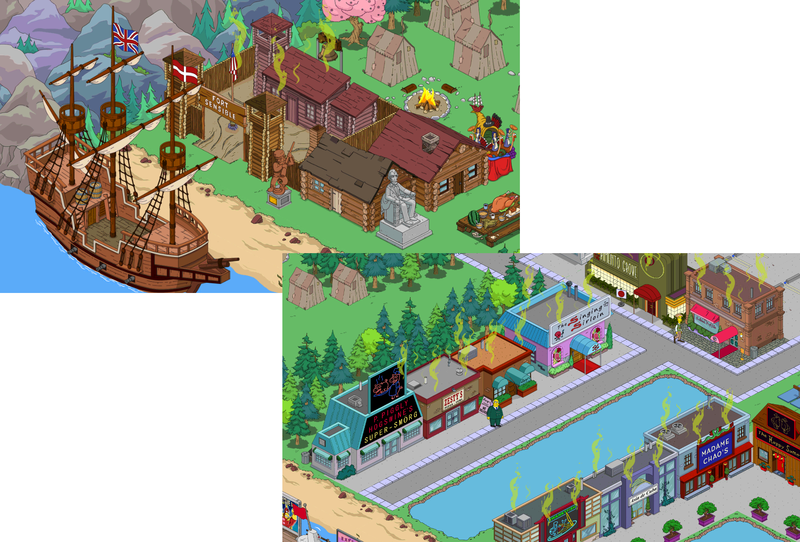 As we jokingly named this site TSTO Addicts because of how much we played and spent time on the game, I found this connection interesting. Heck… I thought the site name so funny I created a goofy twelve step program (sorry Marge… 12 is the name of the game) just for compulsive players like myself. Well, here we are about three and a half years into one of the funnest games I’ve ever played and it’s time for another TSTO Anonymous meeting. I figured we’d take a look at addiction in what I hope is a fun way. With all the excitement of events this last few months… I’ve been remiss in holding our regular TSTO Anonymous gatherings. Arguably, the Addicts Open Threads acts as a meeting point for us to meet, commiserate, complain, joke, etc. but I enjoy the occasional chance to just ramble about the game with my favorite peeps. Lately, I’ve seen more and more grumpiness in the comment thread and I wonder if we’re folks are getting burnt out? I know if you told me back in October 2013 that I’d be still playing this game years later I’d have probably checked your hand for a crazy stamp. But time flies when you’re having fun and here I am not only still playing but also writing about it. 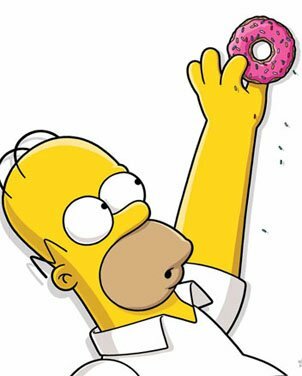 Loving The Simpsons helps me keep on keeping on but it truly is this wonderful community that makes it worth it and still fun. As a vague premise, we’re gonna call this meeting to order with the topic of Simpsons Burnout and see where it goes from there. The coffee is all ready and it’s time to gather. Holy moley! What is that stench? Smells like someone fudged their Huggies. Before I digress too far and start spontaneously singing a Lynyrd Skynyrd song, I should probably get myself on track. So the monorail event is in full swing coupled with a lot of references to garbage episodes (the content, not quality) of the Best. Show. Ever. 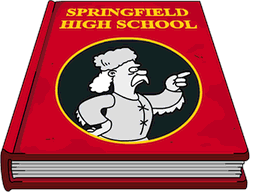 One of the fun aspects of it all is dumping trash in your neighboring Springfields but it’s got me thinking.